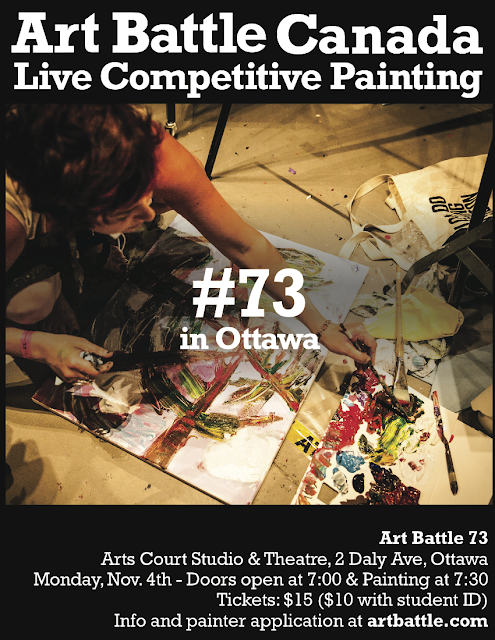 I have the pleasure of participating in Art Battle #73 in Ottawa on November 4th. Come out and support some local artists as we get down and dirty..FYI the last national champ was an Ethiopian, so you KNOW I have to represent! !